Oh, Net, WOW!! Big job!! Thank you so much for your time and effort on the list that makes our DVD selections so much easier!! I have a wonderful collection going on and now I can refer back and purchase more of my favorites at any time. I so appreciate you and your blog!!!!! Thanks so much! 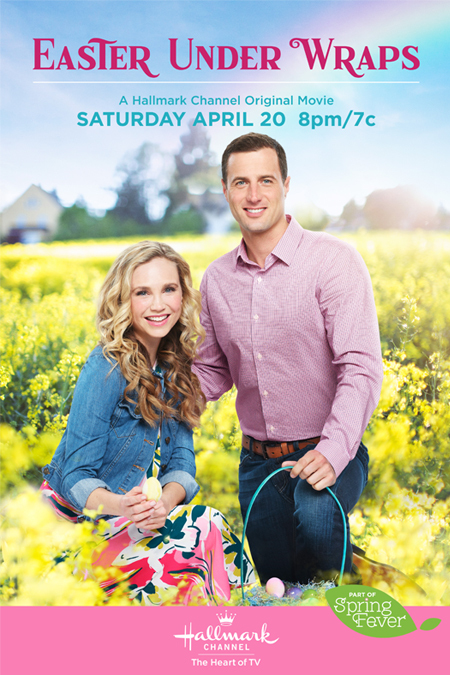 :) It was quite a task, and I hope to keep it updated regularly with any new Hallmark releases! I appreciate you, too, and your helpful, wonderful comments!!! Wow! Thanks for the list! You're Welcome, Misty! Glad you like it! Me too, Misty, top of my list!!!! Love it! Sounds like our list keeps growing since Hallmark makes so many great movies! Thank You, Thank You for the movie list. Wow! More movies to buy Lol! I'm lucky that we have a Hallmark store in my town, and I was always go straight to the movie section. Oh, you're welcome! I was amazed at all the great prices for these movies at Amazon. Enjoy!!! Now if only Netflix would make a Hallmark tab. You're Welcome! I'm so glad you enjoyed the list! Thank you, Kara. 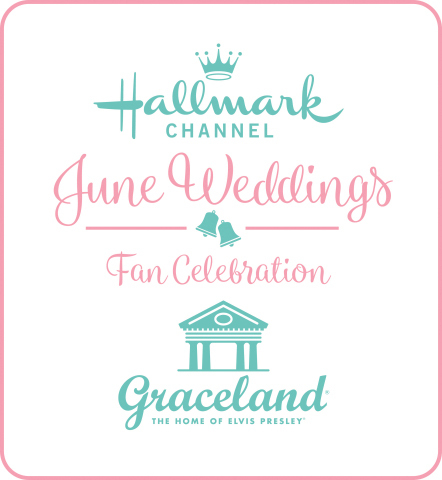 It's wonderful to know so many people enjoy Hallmark movies as much as I do! Glad I could help you discover a few more! Thank you for all your help. I have purchased so many with your knowledge of GOOD movies that all the family can see. Thank you so much - for purchasing them here and supporting my site! I am delighted I was able to help you find these wonderful Hallmark Movies on DVD to share with your family! I hope we will find many more to add to the list... in the future! Can you answer a question for me?? Why do they bring certain movies out and other they don't?? I was Matchmaker Santa and Secret Santa to come out to DVD!! This is ridiculous...if you ask me. They bring other ones out that I don't think are as good. Please tell them to bring them all out!! Then everyone can choose which ones they would like to buy! I watch my Christmas movies all year long. Certain ones are my total favorites!! Thank you so much! I really don't know why they choose to release one movie over another. I think some of the ones they haven't been released, yet, like Matchmaker Santa and Snow Bride are really good + they have great ratings - so hopefully one day they will decide to put them on DVD, too. BTW, I watch them all year long, too!!! Hoping that at some point Hallmark will decide to release " An Old Fashioned Christmas " . The continuation of " An Old Fashioned Thanksgiving " . Although , I did find it available to view on Vimeo in it's entirety . Thank you so much for keeping up this great blog . Thank you for following...I'm always searching for new releases, so keep checking back for DVDs updated to the list! Thank you so much for this site! I was wondering how come Wall Mart has A Cookie Cutter Christmas dvd and The Nine Lives of Christmas dvd and a lot of others in their store to purchase right now but Hallmark is not showing they are even released to purchase? I was looking all over for it on this site and on Amazon but couldn't find it then I saw it on Wall Marts web site so I went to the store and there they all are. It even shows that pre order date for A Royal Christmas being November 25th to purchase at Wall Mart....Am I missing something here? The DVDs were released first at Walmart, but they soon-after became available at Amazon, too. So.... as soon as they became available through Amazon, I added them to the list above! Thank You for this enthusiastic response to the Christmas Movies and Thank You for loving my site! Btw, the DVDs are all available at Amazon, too! Hope we see lots of new & old titles released this year! I wish they would release Catch a Christmas Star from last year. I really love that movie! Hi Net, Mark the Newbie here -- Maybe this is old news to you, but just in case...I see on Amazon that Christmas at Cartwright's is being released on dvd on October 6th! Yea!!! Don't know about any others at this point. Hello Mark, Welcome back! I so appreciate your comments. would love to see Christmas Star in the holiday listing for the season. Net, thank you for this blog site. I've been referring my friends to it. I wish Hallmark would release the following movies: Angels and Ornaments, The Christmas Shepherd, Let It Snow and Christmas Under Wraps among others. God Bless. Can you tell us when the christmas kiss 2 movie will be on dvd. Thanks for all you do and have a wonderful holiday season. Can you please let me know why Our First Christmas will be coming out on Dvd? Hi Net, thought you and others might like to know that this week Amazon has a number of Hallmark movies on sale as their "Deal of the Week". Thanks for the info, Mark! It looks like many of the Hallmark movies fans love are a great price now! Here's a LINK to the movies on Amazon! Lots of great movies to add to your collections! Hi Net, just wanted to let you and fellow blog visitors that My Boyfriends' Dogs (Erika Christensen) and For Better or For Worse (Lisa Whelchel) are both on DVD. I found them at my local Hallmark store. That's a great find, Jill, and very interesting. Wonder if the are releasing some a limited time only, at Hallmark stores. I didn't find either at Amazon or Hallmark online, but someone does have them listed on Ebay, if anyone is interested in ordering online. Thank you Jill for finding them and sharing!!! Thank you for this great list. I am still looking for "Unleash Mr. Darcy." Do you know when that will be available? You will never know how much I appreciate your keeping me update on DVD'S since I have a vision problem and not able to read too well. Peace and more Love to all. You will find "Unleashing Mr. Darcy" listed above on DVD! Hope you enjoy watching it over and over again!!! I know that we are all looking forward to the Christmas movies airing this weekend, but I found some new Valentine's Day movies available in January on CBD: Lead with your Heart, Valentine Ever After, and Anything for Love. This is exciting to see them available so soon. Hopefully we will see more releases as well. Just discovered that Hallmark's "Love on the Sidelines" is being released on DVD Jan 3, 2017!!!! I absolutely LOVE this movie! So excited. Does anybody know when Love on the Sidelines is coming out? Yes, it is listed on the 3rd, but it is not available. Looks like last years Winterfest movie "Love on the Sidelines" was released on January 5th, instead of the 3rd. Here's a direct link to the release! wish! I just received Love on the side line and christmae detour and A Christmas Wish! Thank you! Any idea when the Gourmet Detective movies will be out on DVD? I saw on Amazon that A Country Wedding and Chesapeake Shores, Season 1 will be both released on August 1. I knew those were coming - but, it's so good to see Amazon finally has them for Pre-Order! Yay! That's wonderful news, Jill! I know many love to have "A Country Wedding," on DVD and many more want to catch up on missed episodes of "Chesapeake Shores" before the premiere of Season 2 this Summer! We can also stream certain episodes, too, through Amazon video! I don't know if anyone has posted this information yet, but I was on CBD looking at their upcoming DVD releases, and I found several movies coming out soon. This is very exciting news, I think! 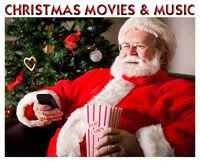 Hopefully there will be many more Christmas Movies put out on DVD. The ones I really wanted aren't listed yet, so I will keep hoping and watching for them. I am super excited about two SSD movies being released withing a couple of months of each other. Hopefully the others will be released very soon as well. I can't figure out why they skipped over Truth be Told and Impossible Dream. They are both excellent stories and Impossible Dream is one of my favorites. If you have any thoughts or insights, I would love to know what they are. Anyway, I just thought I would share my findings with you. Hoping to Pre-Order some of them soon. Thanks for all that you do. Have A Wonderful Day!!! I'm so grateful you stopped in to share this wonderful news when you did! It was very thoughtful of you to thank me publicly and to give me credit for finding the latest DVD release news. I am sorry I was not able to acknowledge your sweet note earlier as I too have been dealing with some struggles of my own. My Dad just had colon cancer surgery, so I have not been at home lately or able to keep up with everything like I would like to. Anyway, when I so your sweet thank you, it brightened up my day! So thank you. Have A Wonderful Day!!! Stephanie, so sorry to hear your news. I will most definitely be praying for you, your Dad, and family. I'm glad we could both be used as instrument, by God's grace, to brighten each other's day, even in a small way. 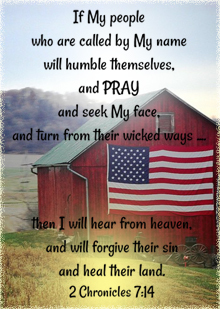 Stephanie, will be praying for your Dad and praying strength for you! Peace! Thank you for getting December Bride on dvd! I wish you could get Love Blossoms and A Birthday Wish! I have now 15 dvd I have all the one Paul Greene is in! Love on the side lines Just purchased Perfect Match I have to many to list all of them! Hi Net - I have a general question that I am hoping you and/or others can help me with. As you may know, the dvd version of The Most Wonderful Time of the Year (one of my all-time favorite Hallmark Christmas movies) has a couple of additional scenes that for whatever reason are not included on the TV broadcasts. Do you know if there are any other Hallmark Christmas movies on dvd that have additional scenes that are not shown on TV? I want to make sure I see the "complete" versions whenever possible. Thanks so much! That is an excellent question, Mark! I do know there are also deleted scenes in "A Boyfriend for Christmas." Actually, some of the most important parts of this movie were edited out after the initial airing in 2004, so more commercials could be fit in. The part where the confession takes place with the whole family is heavily edited. The original is so much better, of course. Also, the movie "Call Me Mrs. Miracle" is edited. In the movie on Hallmark she reads "Twas the night before Christmas," but in the original, I've heard, she also reads the nativity story. "Signed, Sealed, Delivered" episodes, from their TV series, also have a few edited scenes here and there. I'm sure, unfortunately, there are other edits here and there. I'm with you- I also prefer to see the original un-cut versions whenever I can, as well! The Holiday Engagement DVD with Bonnie Sommerville has additional scenes. I was listening to the movie one day at work and I heard a scene, and I was like "that is not in the tv movie". they had a few extra scenes. I showed my husband, one of the extra scenes is really funny (If you haven't watched that movie, it is cute and funny). I have been watching all the movies I have on DVD to see if there are extra scenes and that is all I have found so far. Thanks Sabrina! I enjoy Holiday Engagement when it is shown on TV and now I will have to check it out on dvd! I have some exciting news that you may have already known, but I thought I would share it with you just in case. Both CBD and FishFlix have the complete 4th season of WCTH available for preorder!!! Also I was at Walmart last week, and I found a Murder She Baked movie collection with movies 2-4 together! I looked it up and it is online at Walmart in case it isn't available at your local stores. I hope that someone will eventually put the other mystery movie series together in sets, that would be so awesome! On a personal note, my Dad has improved a whole lot! He still has some improving to do, but his doctor as well as my family are very happy and thankful for his progress. He is going in August to get a second opinion on whether or not he needs any treatments. The first oncologist he went to was very rude and not encouraging at all, so he is seeking a second opinion. He is leaning towards not having any treatments, but he isn't going to make his final decision until he gets the second opinion. We are praying that no treatments will be necessary, so if you can help us pray about that it would mean a lot to me!!! Thanks so much for the prayers on my Dad's and family's behalf already, they really mean a lot to me and have encouraged me as well! Have A Wonderful Day!!! Stephanie – Thank you so much, for first sharing your good news about your Dad! I’m so happy to hear how well he is doing. I am continuing to hold him and all of your family in my prayers and, I, too, will pray no additional treatments will be necessary. Thank you for keeping us updated here, as I know others who visit here are also praying for you all. As for the DVD news you mentioned... yes, I was also quite happy to see new Hallmark movie DVD releases – WCTH Season 4, Finding Father Christmas, A December Bride, Broadcasting Christmas, and more!!! I got wind of the new DVDs on Amazon’s site on Friday via Twitter… and also tweeted out a few of them! On Saturday, I took a little time and quickly added several of them to the left side of the blog and above!!! I so appreciate you checking in to make sure I heard the latest! I, too, am hoping they will release more Mystery DVD Collections like they did with "Murder She Baked" – that would be great! Thank you, RG! A lot of the ones you mentioned, are also on my "most wanted" list, as well... Window Wonderland, Dashing Through the Snow, My Christmas Love, Love Always Santa, and on and on... Just when I think there are so many already available on DVD, I'm always amazed over how many actually are not. I absolutely agree - it certainly can't hurt to keep mentioning how much we would like certain titles to be released! Hopefully then - one day they will be!!! I have been wishing for the Fall Harvest movies of 2015 to be on DVD. October Kiss is my favorite Hallmark movie of all time, followed by Harvest Moon and Autumn Dreams. I have them on my DVR, but really want them on DVD. My husband asked why I didn't have "Poppy" on DVD and I was like "cause it doesn't exist". I just found Autumn Dreams and For Love and Honor available for preoder on Amazon coming out August 29. October Kiss is one of my favorites too!!! Stephanie - Hello there! I was most excited to see those new DVD releases yesterday, too! I just added the links here this morning. Did you also see (I'm sure you did!) 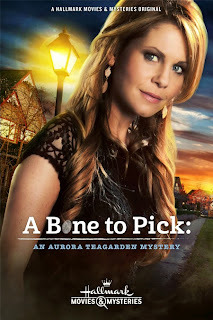 there's a new Candace Cameron Bure - "Aurora Teagarden" DVD listed on Amazon? It appears to be an import DVD, which says it's currently out of stock, even though it's new. Hmmmm??? There's also a few other non-Hallmark new TV movies releases, as well! Yes, I did see the Aurora DVD and was so excited until I found out that it was already out of stock. Hopefully, It will be back soon. Thanks so much for your continued prayers for me and my family. It really means a whole lot to me. My Dad has an appointment Wednesday to start treatments. He is still trying to pray about whether or not he should have any treatments. We aren't sure if treatments are the best course of action because of what damage chemo does to your body. So we are still praying about it, and he has to decide by Wednesday. Thanks again for continued support and prayers!!! Have A Wonderful Day!!!! Stephanie, Thank you so much for the update on your Dad. I cannot imagine how difficult this decision is for him and your family this week. I will most definitely be lifting you all up. My uncle went through cancer treatments about two years ago, and I know it's not easy on all the family, but he is very healthy now and back to playing golf, which he loves. Whatever your father decides, I pray this gives you some hope beyond this moment. 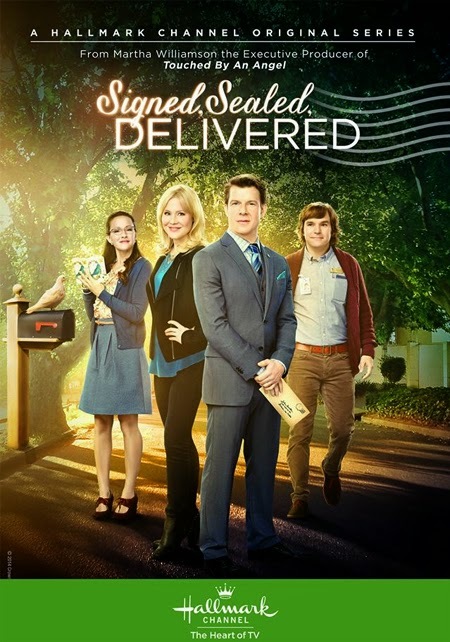 Another new release for "Signed, Sealed, Delivered"... the movie "Signed, Sealed, Delivered: Lost Without You" is coming to DVD - December 12, 2017! Stay tuned for Pre-Order/Order details! I know it has been a while, but I was doing some Christmas shopping browsing and came across all sorts of interesting things that I thought I would share with you!!!! Both Journey Back to Christmas and My Christmas Dream are coming out on November 7 along with I'll be Home for Christmas. So I was so happy to find these and wanted to share with you!!! I don't know why Candace's and Danica's movies are releasing earlier through Walmart, but now we can get them before Christmas!!!! I hope you have a fabulous weekend and as always Have A Wonderful Day!!! Also, please know, I'm still praying for you and your family! Hope your Dad's health is good. Do you know if "Hearts of Christmas" will be on dvd, I LOVE this movie so much. I will be certain to add any more titles, including those you mentioned, if & when they ever become available, above! Perhaps, sharing your interest in these movies will help! Ewwww.... I love that one, too!!! Amazon has "The Irresistible Blueberry Farm" available to watch via streaming, but it seems to have some audio issues. Typically, once they come out via Amazon video, they are released eventually on DVD, too! So, let's hope they get that audio fixed and get this one released on DVD, too! Alison Sweeney and Marc Blucas are both wonderful in it, plus Kavan Smith!!! I have Hallmark Movies Now through Amazon and I have had no issues with the sound. I have DirecTV. I think it might be the providers that causes the problems. Anyway.... I watch the Irresistible Blueberry Farm at least once a week. I love that movie! I hope you're right Net and it comes out on DVD too. Now if we could just get them to stream Love On The Air or a DVD! Just noticed on Amazon that there are new Hallmark movies on DVD! Just released May 24, 2018 is "Christmas Incorporated," "Chance at Romance," and a personal favorite of mine, "Love By the Book!" I always find it so random when movies finally show up weeks after their supposed release date. But regardless, I'm happy more movies are out on DVD now! Oh, yes! It's such fun to see so many new movies being released on DVD. I updated today and added these titles and more! Thank you for sharing. I am rather surprised it took this long for "Chance at Romance" (from 2013!) to be released, with Erin Krakow's popularity with "When Calls the Heart" and everything. 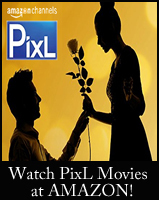 That is such a cute rom-com movie, which originally premiered on PixL with a different title: "Friend Request". Perhaps, this DVD release is good news for other movies that crossed over to the Hallmark Channel, from Pixl, like "Matchmaker Santa"! I too am surprised at the delay in "Chance for Romance" but I am not sorry that it is finally out! ;) There are so many PixL/Hallmark crossovers that I'm dying to own, so I'm hoping your hopeful prediction rings true! Thanks for all you do to keep us informed, Net! You're a gem! Thank you! I just added those movie titles above, although I'm not sure if anyone will be too excited to see "At Home in Mitford," since it wasn't well loved among viewers, especially those who read the Mitford books, like myself. "Pumpkin Pie Wars" on the other hand, with Julie Gonzalo, was a Fall Harvest movie favorite for many, in 2016! I agree... it is a treat! I love Pumpkin Pie Wars, I will surely be getting that. I'm not surprised at either of these movies being released. From what I can tell, "Pumpkin Pie Wars" has been a favorite among most people! And it's not hard to see why! I love the modern day "Romeo and Juliet" story! And the chemistry is great, as Net has mentioned before, Julie G. absolutely radiates on the screen! And while "At Home in Mitford" seemed to upset many after its release and Hallmark mysteriously removed it from their encore airings, it has done well on Hallmark Movies Now, and continues to be among the "most watched" list. I myself have not read the books but I appreciated the message of the movie and the faith of the characters and felt it a welcome change from the typical movies. I LOVE that more Hallmark movies are appearing on DVD....I need more for my collection! Hi, Net, I see Amazon is offering three more Hallmark movies....Christmas Incorporated, Love by the Book and Chance of Romance....Yay!! !